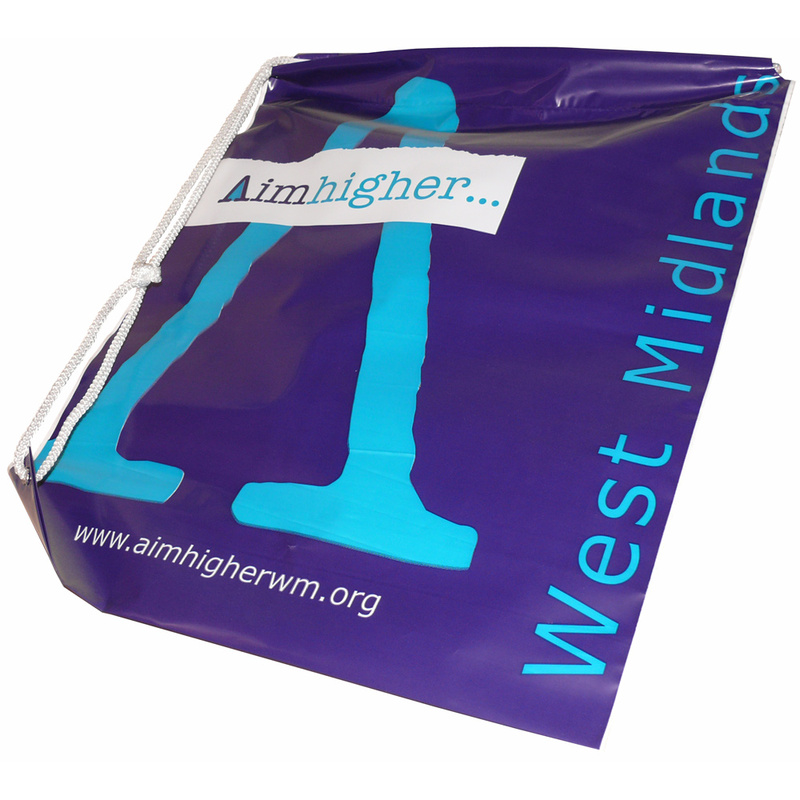 Duffle carrier bags are a great way to provide your brand in a reuseable format. Unlike many other styles which can end up lining a bin after one use, the duffle bag tends to be used repeatedly far more. This is mainly because they offer convenience in so far as the bag can be easily slung over the shoulder. They are usually a hit with the younger generations or active people as they leave the hands free to carry or do other things. Duffle bags can be produced in various sizes, with a single or double rope, or just as a drawstring bag. The duffle bag has a metal eyelet at the base, which the rope loops through to create the shoulder strap. The rope also pulls tight to close the bag and keep contents safe. Duffle bags can be produced from varying colours of LDPE (or HDPE, but HDPE is less flexible) and then printed up to full colour process. Our Company supply exhibition duffle carrier bags ldpe. Our in house design team assist throughout, helping shops purchase unique duffle carrier bags ldpe. To start designing your choose by material or different styles of , contact Beckdale using the above details.